garden party printables–see the all of the images to view this complete kit. So many pretty pieces to create! Instant download BUTTERFLY PARTY, GARDEN PARTY, FLOWER PARTY or BUG PARTY! Pretty party printables to make a garden party birthday, a garden party baby shower, a first birthday, or to create a flower party theme for any special day. This party printable kit is filled with so many printables to make! Some of the printables in this set are even CUSTOMIZABLE—add special messages, children's names, or other words to your customizable party printables yourself! Simply click and type on your customizable printables before printing at home or your favorite copy shop! We think this party theme you create with this kit may just be the prettiest party your guests have ever been to (relish the compliments you will receive)! This HUGE, HUGE, HUGE party printable kit is an INSTANT DOWNLOAD! 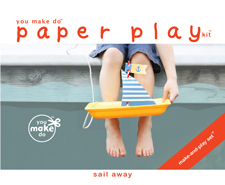 After receiving your order, a link to this You Make Do® pdf printable download will be automatically e-mailed to you on your receipt when you order. Begin printing as many as you wish right away!
? CUSTOMIZABLE leaves, each with a sweet little bug. 4 designs. 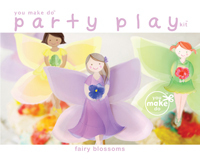 Attach to flower pinwheels included in this kit and use as straw flags too! Add guests's names or messages onto leaves. 4.5" wide X 1.6" to 1.8" high when wrapped around flower pinwheel stick or a drinking straw. Prints 4 double sided leaves per letter size or A4 page.
? Pretty polka dot flower pinwheels. 6 designs. Use flower pinwheels with the customizable flower leaves to create delightfully unique table centerpieces, individual place settings, and game station signs! Your guests will smile with delight in these one-of-a-kind party printables you make! 4.7" X 4.7". Prints 2 pinwheels per letter size or A4 page.
? CUSTOMIZABLE garden party and bug party favor tags in 6 designs. Whimsical bugs, dots and flowers are sprinkled on each of these 2.5" X 5.6" tall rectangular tags. Add your own text within the circle at the top of each tag and in the space on the lower half of each tag. Prints 3 tags per letter size or A4 page.
? CUSTOMIZABLE garden party and bug party place cards in 4 designs. Personalize your cards to use as menu cards, name cards, and thank you cards too! Tented place cards are 3.5" high X 4.5 inches wide when folded. Prints 2 cards per letter size or A4 page.
? CUSTOMIZABLE garden party and bug party coloring page. Sweet coloring page can be personalized with each little guest's name or a message and used as a pretty placemat at each table setting! 8.5" X 11" or A4. Use as place mats or customized station signs at baby showers too!
? Too cute! Garden party and bug party crayon seed packet to accompany your color pages! 3" wide X 4.36" tall when assembled. Prints one crayon packet per letter size or A4 page. Use as party favor packets too!
? CUSTOMIZABLE wood garden signs. 2 designs. Add up to 3 lines of text. 9.9" X 6.6". Use as welcome signs, game station signs, table signs and more. Prints 1 garden party sign per letter size or A4 page. Add them to wood stakes stuck into flower pots, hang from pretty ribbon, or use them any way you wish!
? CUSTOMIZABLE 3" garden party circles. Use as cake or cupcake toppers, favor tags, and more! 6 designs with butterflies, sweet bees, and flowers with a scallop circle design. Prints 6 per letter size or A4 page.
? WAY TOO CUTE drink box wrappers. Sweet birdhouse design can be used without drink boxes as table centerpieces, place setting accents, or to hang as birdhouse decorations too! Fits Fruitables brand juice boxes and other drink box brands that are 4.5" tall and 2" wide (or use without juice boxes for decorations). This birdhouse printable can be hung from ribbons on a tree centerpiece too!
? 2" garden party circles. Use as cake and cupcake toppers, favor tags, and more. 6 pretty designs including a butterfly, sweet little snail, ladybug, snuggly bee and blossoms. Prints 6 circles per letter size or A4 page.
? Garden party cutlery wraps. 6 flower designs. Prints 3 cutlery wrappers per letter size or A4 page. Can also be used as mini chocolate bar wraps—simply cut to size!
? Garden party drink label wrappers. 6 flower designs. Prints 3 drinking glass, water bottle, or glass bottle wrappers per letter size or A4 page.
? DIY CUSTOMIZABLE banner—4 flag designs you may customize with the included garden party circles and the customization letter kit. Green, pink, purple and yellow with delicate white flower print and cheery blossom accents. Prints 3 party banners per letter size or A4 page.
? Customization letter set to add names or messages to your banners—add unique flower embellished letters to spell messages like "happy birthday emma! "—or, any message you would like. Our customization printable package includes every letter of the alphabet, numbers up to 13 (use combinations of numbers to make higher numbers), and many special characters and symbols including & + # , ' . ? + — : ! 60 customization kit pieces in all.
? Butterfly and flower cupcake basket holders with handles that will add the WOW! to your celebration. Both scallop edge and straight edge cupcake wrappers included.
? CUSTOMIZABLE straw flags in 6 pretty hues. Add names or messages to decorate your pretty party straws or use as customized cake or cupcake toppers! Change the font, text color, and text size if you wish too!